Once the Conference Champions were decided, sportsbooks began to create the different betting lines for Super Bowl LII. At the start of things, the Pats were favored to win by 5, 5 ½ or even 6 points, depending on which sportsbook you looked at. These numbers have changed since the start of last week. The spread has since dropped to 4 ½ points and the moneyline figures have also adjusted. A moneyline bet on the New England Patriots has dropped as low as -170, while the Eagles moneyline wager has inversely risen to upwards of +170. How does this affect your online betting action? The reason for these changes can be attributed to several factors. One of which is that many bettors are taking the Philadelphia Eagles. There are even several who have placed massive wagers on the birds, some to the tune of millions of dollars. You can still find value on the Eagles through the point spread bets, but value is becoming harder to come by on the moneyline. According to the current line, bettors stand to win $155 per $100 wager. Meanwhile, betting $175 on the Pats would get you $100. Moneyline bets typically stick out to novice bettors because there is no accounting for the point spread. Instead, you bet on a team to win outright. In the case of Super Bowl LII, New England is favored to win. Favoritism usually applies to the entire betting line, meaning that the team projected to win extends to both the point spread and moneyline wagers. Since the betting line figures have changed, it is not farfetched to expect them to move again before game day on February 4. If you are looking to cash in, taking the Patriots at this current moneyline is a decent value. People are betting on the Eagles for the reason, and as those bets continue to roll in, the numbers will continue to skew. 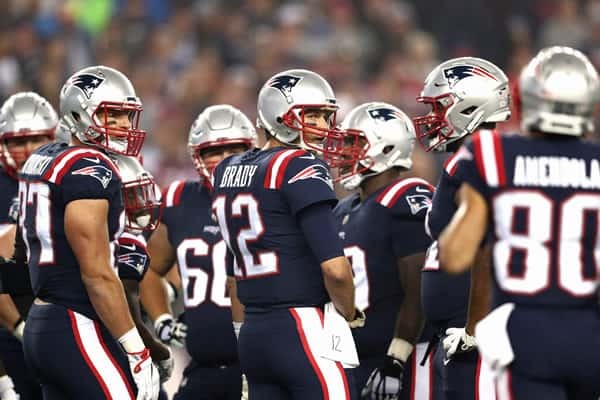 Novice bettors will look at this scenario and take the New England Patriots because they have been historically more successful, have a more experienced roster and are the defending champions. On the other hand, novice bettors may look at the Eagles because while the Patriots are a more storied team, there are some talking heads, forums and analysts looking to the Eagles to pull off the upset. They’ve won each of their games in the postseason despite not being favored and they are building off a dominant NFC Championship win whereas the Patriots narrowly escaped the Jacksonville Jaguars in the AFC Championship. In any case, keep an eye on Super Bowl betting odds as the game nears because the lines may shift again. We are still a few days out from the game, which leaves potential for more reports, speculation, insights and more. Just be sure to place your wagers before the game begins, otherwise you’ll be looking at live betting lines.